There are thousands of life insurance companies in the United States. In your quest to find a life insurance policy suitable for your needs, you may have heard of Great American Life Insurance Group. The primary question being, is it the right choice for you? In order to help you answer this question, TermLife2Go has prepared this review of Great American Insurance Group. Great American Insurance Group has been in the insurance business for more than a century. This kind of experience shows that over the years they continue to provide great services and products to many life insurance holders—otherwise they wouldn’t have lasted this long. Great American Insurance Group offers a lot of commercial risk insurance. For personal insurance, they only help with financial planning for retirement and life insurance. For a life insurance company, these are above average and show the rating agencies are confident that Great American Insurance will have a stable future. The fact that Great American Insurance Group has been granted such high ratings by all three of the most prominent rating agencies in the country speaks highly of the company. Fixed Annuity- receive a fixed interest rate declared by the company, with the additional benefit of a guaranteed minimum interest rate. You can choose either an immediate or deferred annuity. The benefit of a fixed annuity is you receive a fixed stream of income over your lifetime. Fixed Indexed Annuity- much as indexed universal life insurance tracks the market through indexed accounts, a FIA also tracks the movement of major indices or other referenced indexes. Each one year term, or segment, is tracked to determine how much interest will be credited to your annuity. This gives you the opportunity for higher interest rate growth than a typical fixed annuity but with built in protection against loss. Variable Annuity – a variable annuity invests money in variable subaccounts, much like mutual funds. Variable annuities have the greatest potential for gains, alongside the greatest potential for loss. Note: TermLife2Go is not offering investment advice. Is Great American Insurance Group the right company for you? As stated earlier, Great American Insurance Group rates and ranks high in comparison to other life insurance companies. You will be hard-pressed to find any major complaints with the company. They are fair, good to their customers, and offer a reliable product. The only drawback is a solid no medical exam life insurance option. Other than that, this is a great company. There’s no question about that. But, when you are shopping for a life insurance company, then this isn’t the question you should be asking. Instead, you should be asking if a life insurance company is the best for you. Great American Insurance Group might be the life insurance company to offer you the best policy. However, they might not be. There is no way to say if Great American Insurance will be the best for you until we know something about you! We will then use this information to determine which life insurance company will be able to offer you the best life insurance policy at the best price. Each of our recommendations are 100% customized based on your life situation. Only after this kind of careful consideration can you truly know if Great American Insurance Group is the best life insurance company for you. TermLife2Go is an independent, third party organization. We have a team of life insurance experts who can offer you the most solid life insurance advice around. If you would like to know more about TermLife2Go and how we can help you find the best life insurance policy within your budget, then call us today for a free consultation. 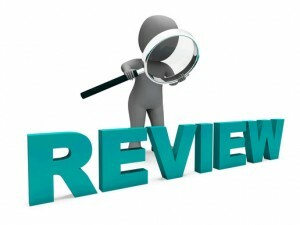 Thank you for reading our article, Great American Insurance Reviews. Please leave any questions or comments below.